The dating world just got a little weirder. A British divorcee seeking a wealthy boyfriend via a ritzy matchmaking agency sued the company over a lack of suitable dates - and was awarded over $16,000 for her trouble. Tereza Burki, a 47-year-old from London, joined premium dating agency Seventy Thirty in 2013. According to reports, she was looking for a “sophisticated gentleman” with “a lifestyle similar or more affluent than her own” and “multiple residences.” Lemarc Thomas, Seventy Thirty's managing director at the time, assured Burki that the service only dealt in the “creme de la creme” of daters and had “a substantial number” of potential matches who met her requirements. Burki shelled out a staggering £12,600 ($16,141 USD) to join, an investment she soon regretted. 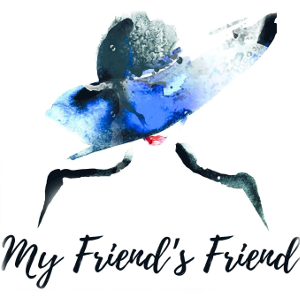 We all have that friend: the one who keeps dating the wrong person, over and over again, and is completely oblivious to where they’re going wrong (even though it couldn’t be clearer to you). As you hear about failed date after failed date, it takes every ounce of restraint you have to stop from grabbing their phone and swiping for them. 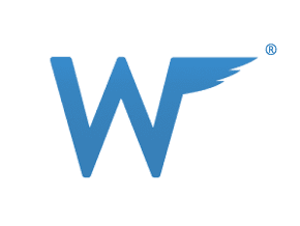 Wingman puts the decision-making power in the hands of your most trusted (and meddlesome) mates. To get started, download the app, invite the single friend most in need of your Cupid skills, and create a profile for them. Once they approve of what you've written, it goes public and you can begin browsing matches. You imagine that life is good for a Google executive. He has a killer job. He owns a big house or a stylish penthouse apartment. He drives a Tesla. He has more cash than he knows what to do with. He regularly takes vacations and buys from big-name brands. That guy can’t possibly have trouble finding a date, right? Business Insider tells a different story. The website recently sat down with Charlee Brotherton, founder and CEO of Executive Matchmakers, and Megan Buquen, the company’s Vice President, for a peek behind the curtain. Astute readers will note that there are still several months of 2016 left, nevertheless, the US Dating Awards have announced this year’s big winners. 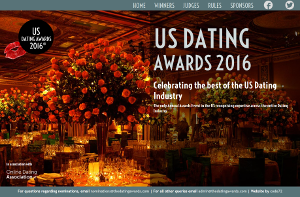 Established in 2014 in the UK, the Dating Awards recognize both newcomers and established names in the field. This year marked the first US Awards show in New York City, where journalists, websites, events companies, and bloggers came together to celebrate 2016’s best achievements in Dating Technology, Marketing, Media, Customer Service, Expertise and Entrepreneurship. The judging panel consisted of a variety of dating experts and industry professionals. Caroline Brealey, founding matchmaker of London dating agency Mutual Attraction, served as head judge. She was joined by Charly Lester, Founder and CEO of the UK Dating Awards, and Charreah Jackson, international coach and the Lifestyle and Relationships Editor for ESSENCE magazine, amongst others.